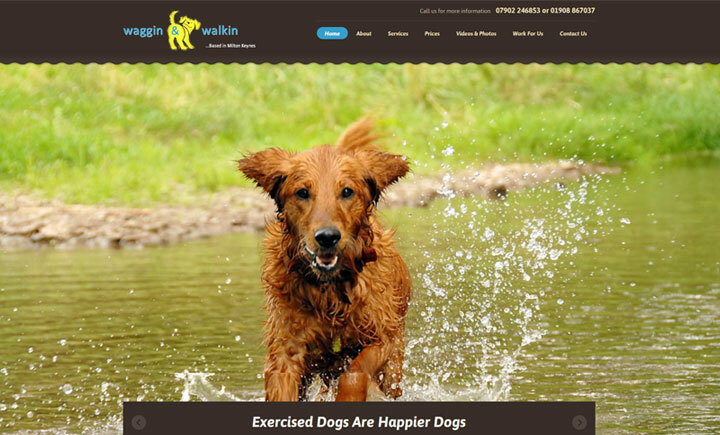 Waggin and Walkin offer dog walking and doggy daycare services in Milton Keynes for owners who are unable to attend to their dog’s needs. Whether you’re at work, out for the day or going on holiday, Waggin and Walkin aim to provide your pet with as much love and care as they’d expect to get when you’re at home. Our services are tailored to fit the needs of our clients in a responsible, reliable and flexible manner. Each animal in our care will be treated as our own by maintaining a healthy lifestyle to ensure a happy and healthy pet. We believe through exercise, socialisation, and better nutrition we can create a happy more balanced pet.